Amanda Gorman has been writing poetry for so long, she can’t even remember what her first piece was. Now the 20-year-old is the first-ever U.S. National Youth Poet Laureate — a job that involves writing (obviously!) as well as speaking with educators, students and organisations across the country about the importance of poetry, arts education and literacy. She also works to perform poetry in places where you might not expect it, like on MTV or at the launch of a Revlon Campaign. “I’ve hoped through my tenure that I’ve been able to bring youthful poetry into new, unexpected places, and showed young poets that they deserve to be heard and respected,” Amanda says. Now, she’s encouraging her generation to do the same. Here’s her advice on writing poetry that matters. If everything is political, then art definitely is. And poetry? It puts the capital “P” in personal and political. As long as poetry has existed, people — especially young people (and particularly women) — have been using it to speak truth to power, to advocate for issues they’re passionate about and to amplify their diverse voices. There are poems about gender and girlhood, like Sarah Kay’s “If I Should Have a Daughter”, self-confidence like Maya Angelou’s “Phenomenal Women”, or even poetry itself (called ars poetica), like Monica Ferrell’s “Poetry”. Take Ziauddin Yousafzai, Malala’s father and an advocate for women, who said, “Don’t ask me what I did. Ask me what I did not do. I did not clip her wings.” It doesn’t get more powerful and poetic than that. 1. Choose something rooted in emotion. Writer's block is a menace, but it's all the more terrible when you don't care what you're writing about. Poems are more powerful when they have heart — and that comes from you, the author. Selecting something you’re passionate about that causes a reaction in your way of thinking. These emotions can be anger, sadness, confusion (or a mix). For me, I usually try to convey hope. The right details can make a poem feel real and tangible — and that can magnify its impact. For example, when I wrote two poems (“Old Jim Crow Got to Go” and “Waiting with the Gourd Moon”) for The New York Times as a coda to Black History Month, I conducted research in the National Museum of African American History and Culture’s digital archives. I explored their collections on black social movements to try to add in as much background knowledge I could, authentically, into that poem. Without it, it wouldn’t be the same. 3. Your voice is yours, own it. There’s no perfect recipe or mathematical formula for writing poetry (and believe me, I’ve looked). This is what makes writing both so hard, and so much fun. Your creative writing voice might be lyrical, it might use metaphor, it might not look like anything else you’ve ever read, all of which is fantastic. You do YOU, Ms. Poet. 4. Know this: there is power in a girl who speaks her mind through her pen. You might think everything has been said before, but it has not been said by you. 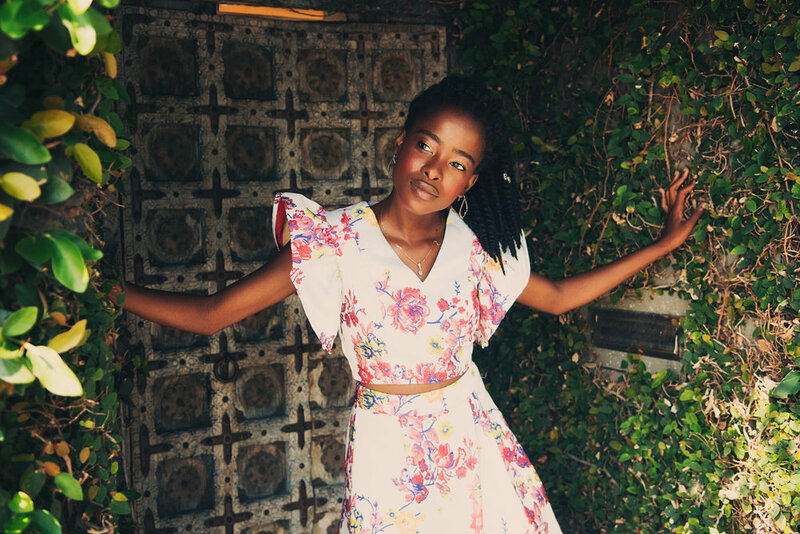 Amanda Gorman is a rising junior at Harvard University and founder of One Page, One Pen. She is the first U.S. National Poet Laureate and plans to run for president in 2036.